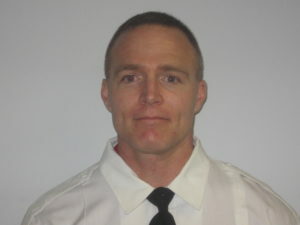 Sean joined Cataldo Ambulance Service as an EMT in 2011 after stints in marketing, public relations, and teaching. He put that education background to good use when he became a Field Training Officer. Sean excels as an EMT in the field but also as an educator within our communities. He decided to create a reference guide for the new hires and now hands it out as he works with each new employee. He took on the role of Lead Field Training Officer with ease, imparting his knowledge and experience to our staff from day one. Sean exhibits a constant drive to help others find success in their health-care career. He stays up to date on the latest research on EMS-related topics and prides himself on delivering that information so it’s relevant for those who are new to the field and experienced staff alike. Sean consistently volunteers to teach classes, participate in drills, and attend committee meetings. He is regularly active on the Quality Assurance and Improvement Committee, offering suggestions for improvement in all phases of our business. Besides working full-time as an EMT, Sean owns his own business, Maney Communications. He also loves to spend time with his dogs, taking them for walks or just playing around in the yard.